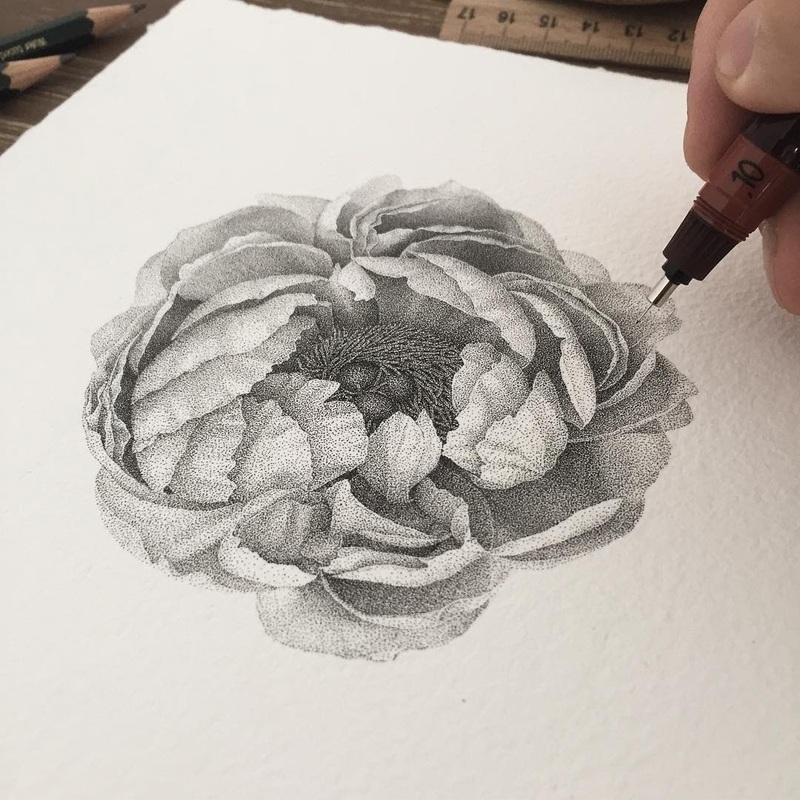 Drawings that adopt a technique that requires a lot of patience and dedication to complete. 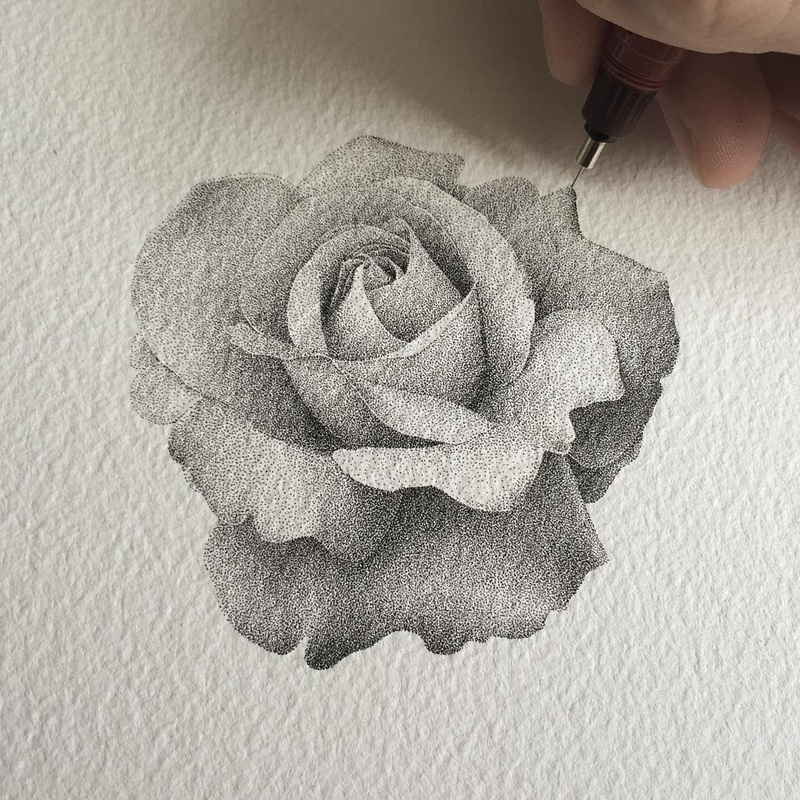 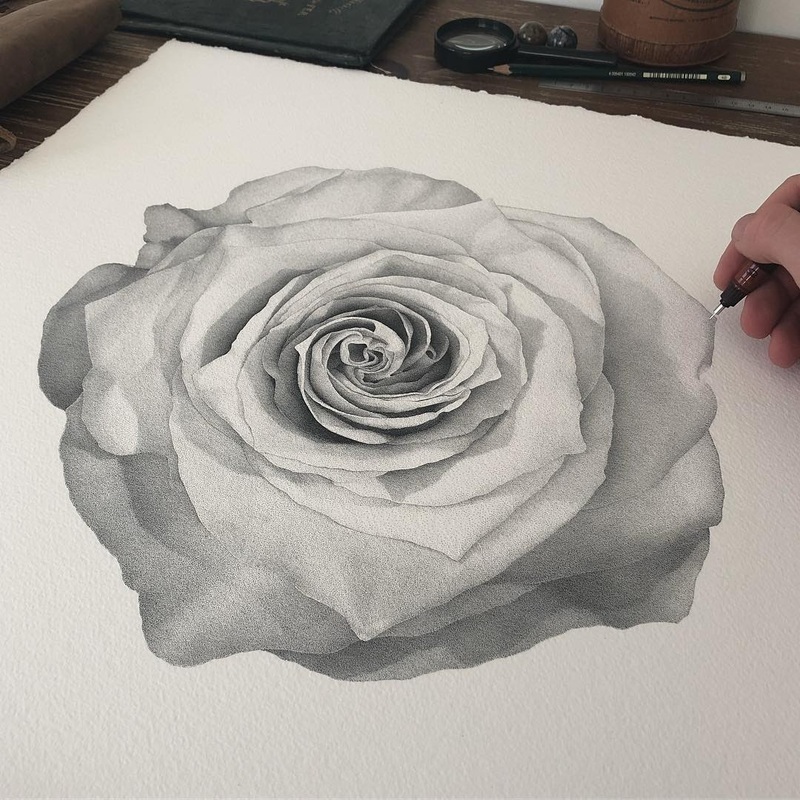 French Artist Xavier Casalta, is the one that created these lovely drawings of flowers. 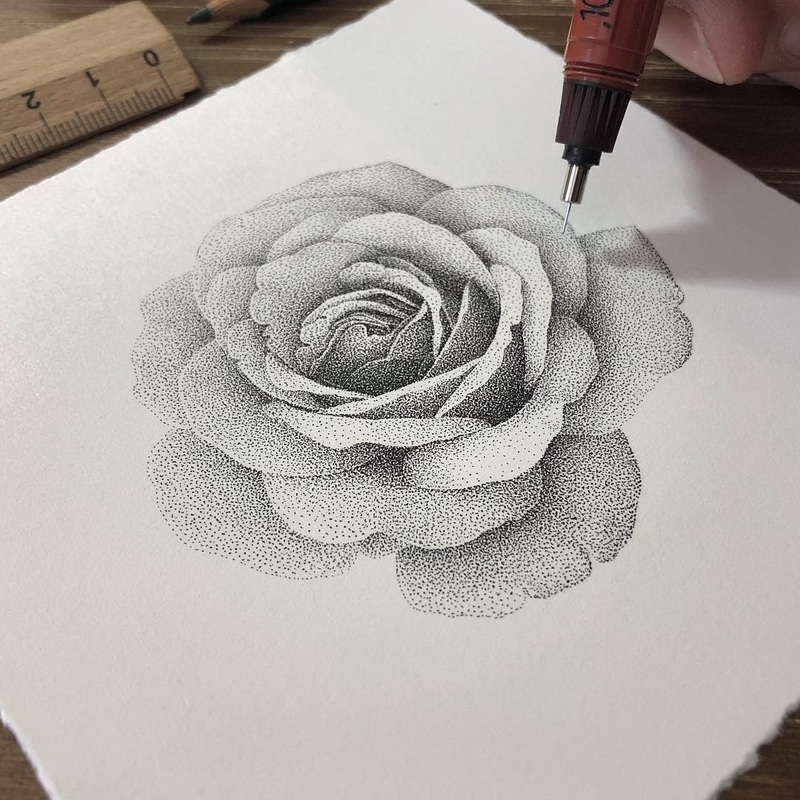 Fist things first: Stippling is a drawing style that requires the artist to form the image using dots, in this case in ink. 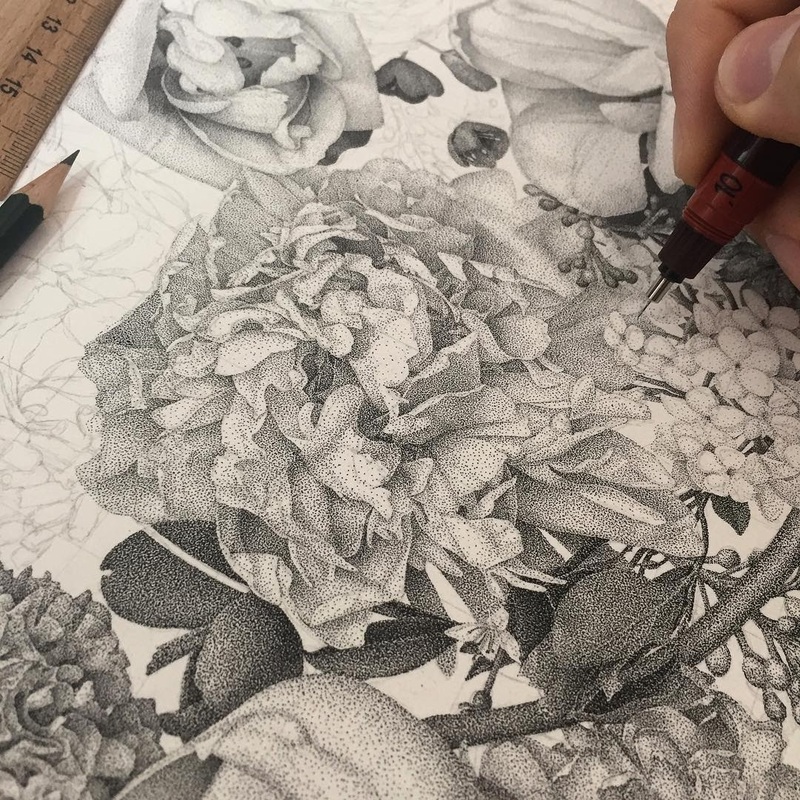 Light and dark shades, are achieved by varying the density of the dots, it follows that, a lighter area will have fewer dots and a darker area will have more. 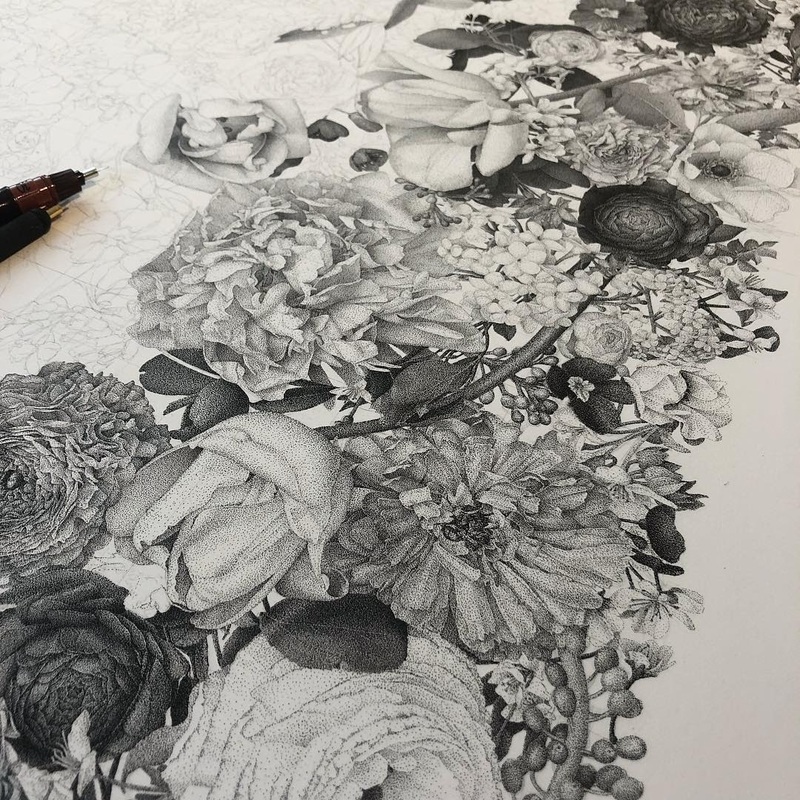 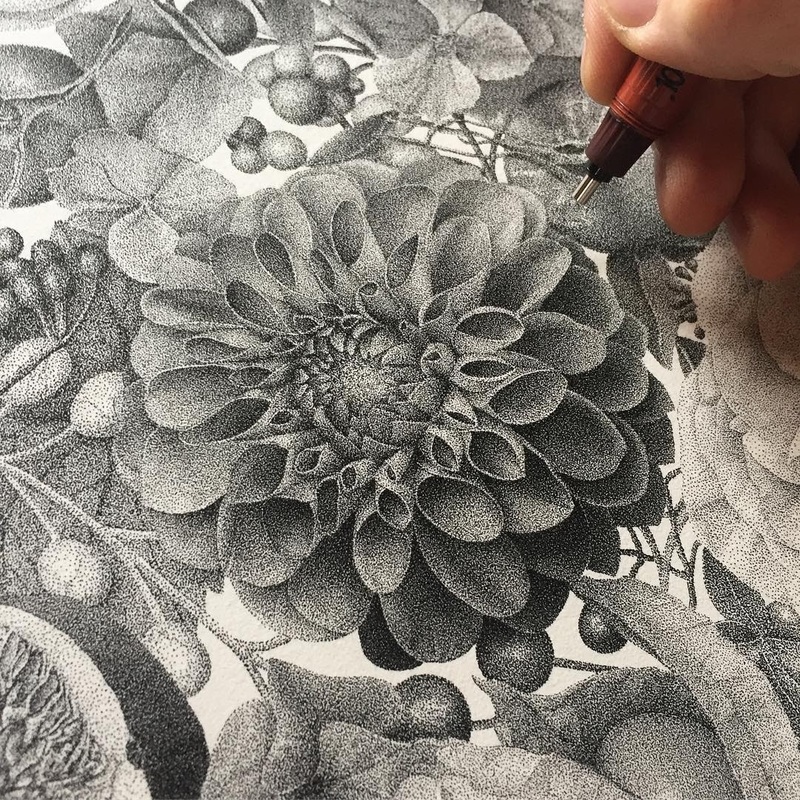 To give you an idea of the scale of one of these drawings, the image below took 250,000 dots to complete. 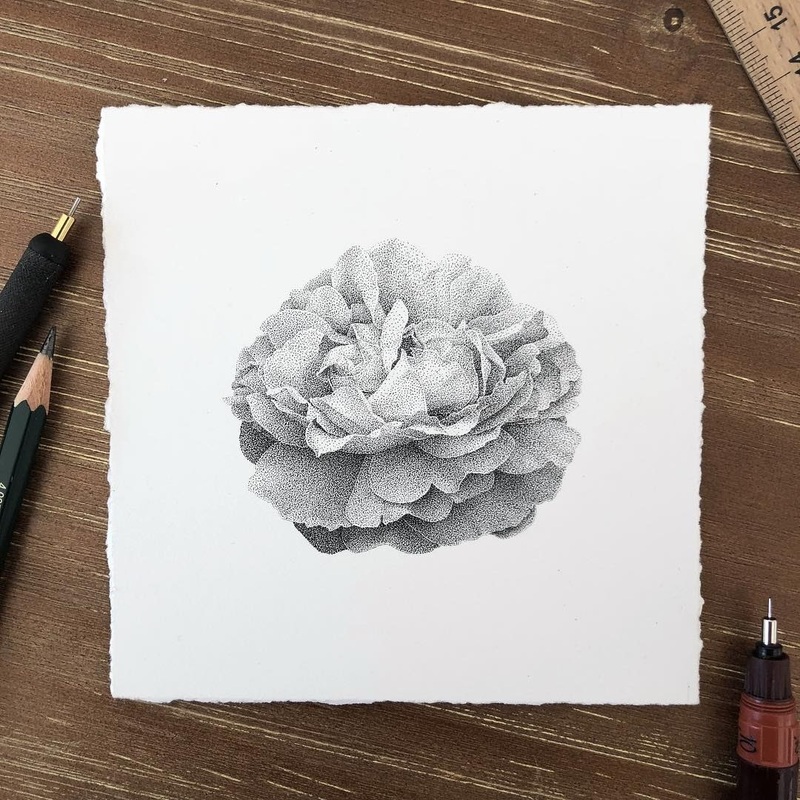 Two more posts, with more of Casalta's work here on DesignStack, below. 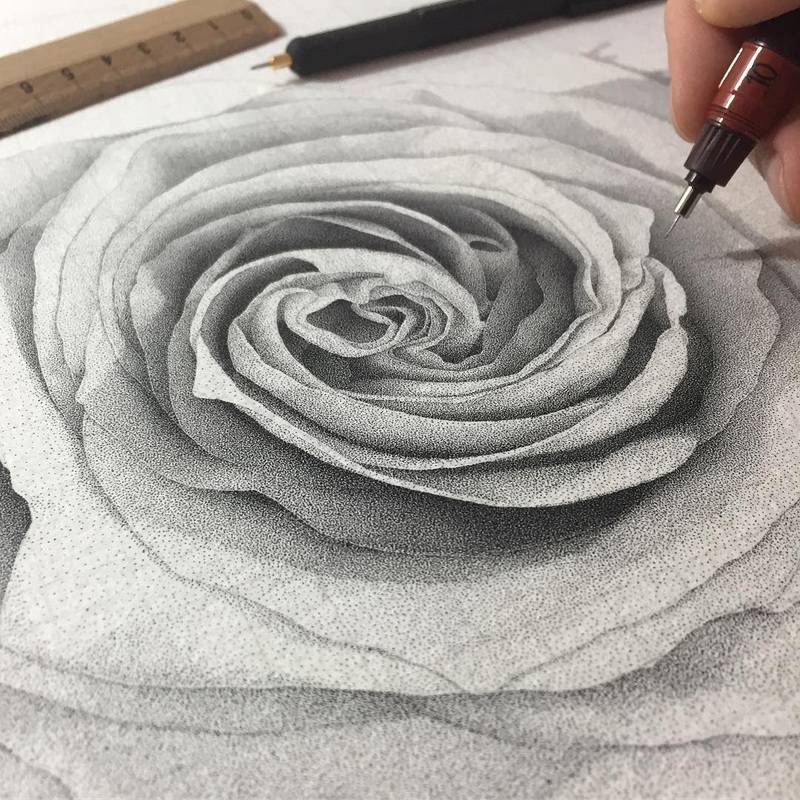 You can press the images to enlarge them and get to see more of the technique. 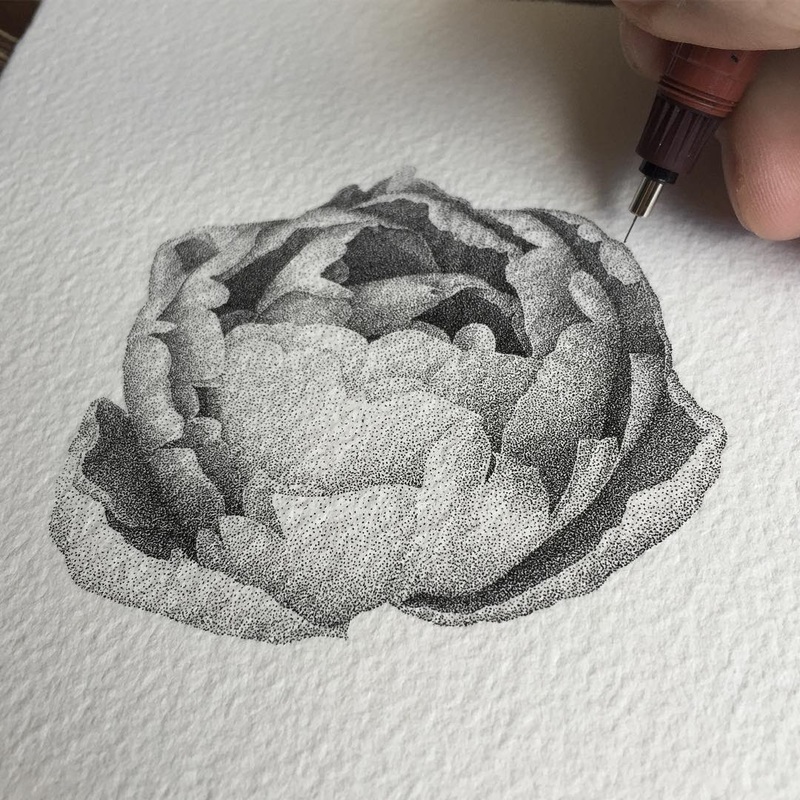 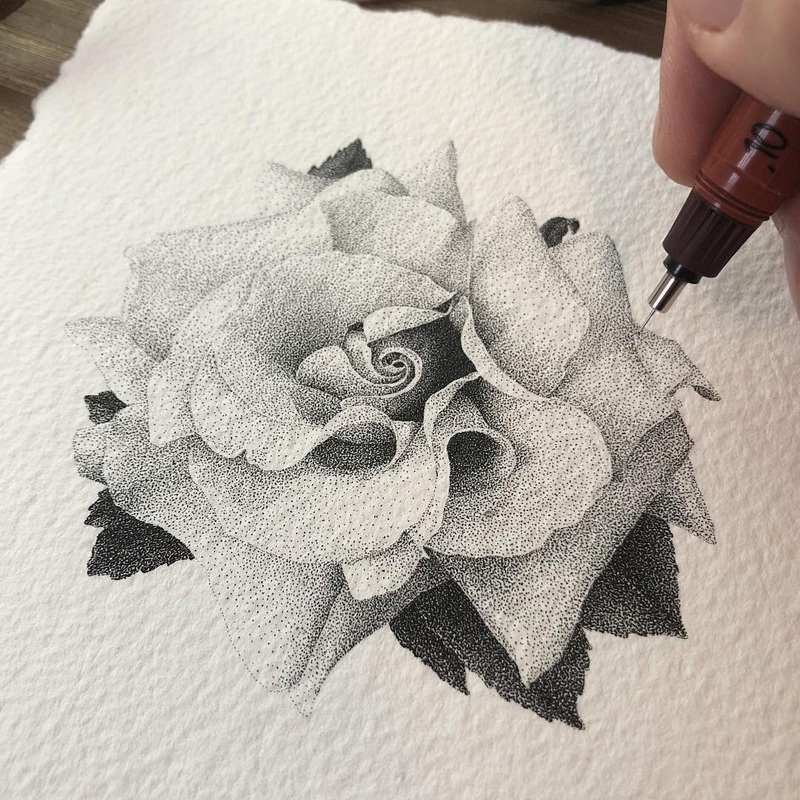 250k stippled dots for this flower. 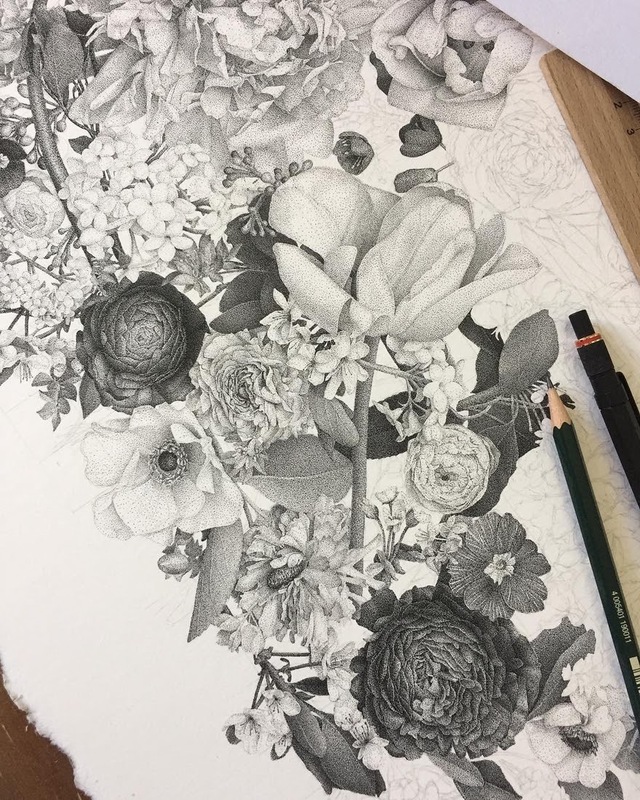 Floral studies allow me to relax between big projects. 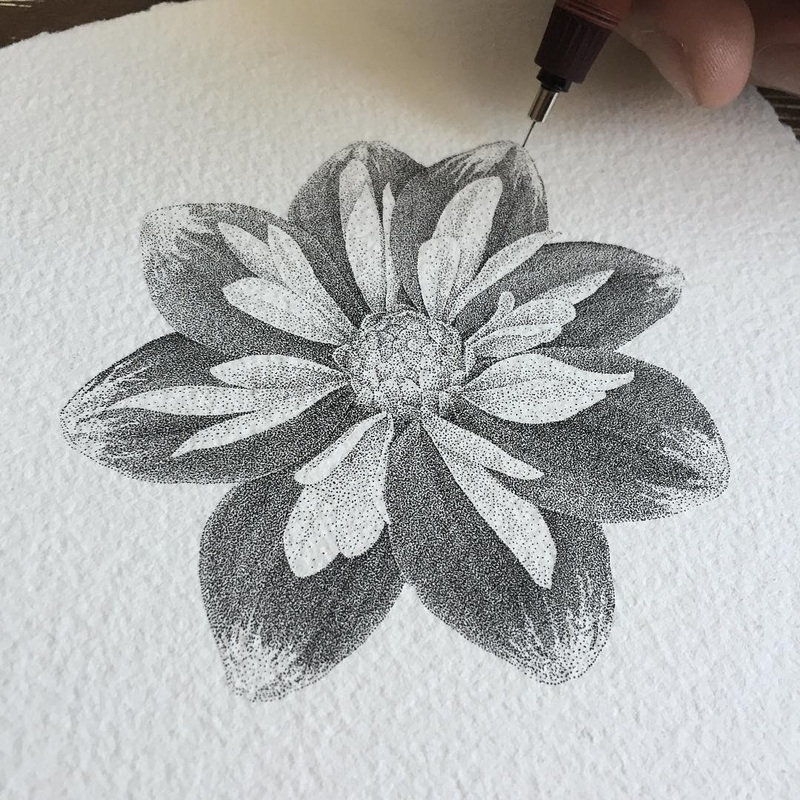 Studying different kinds of flower.